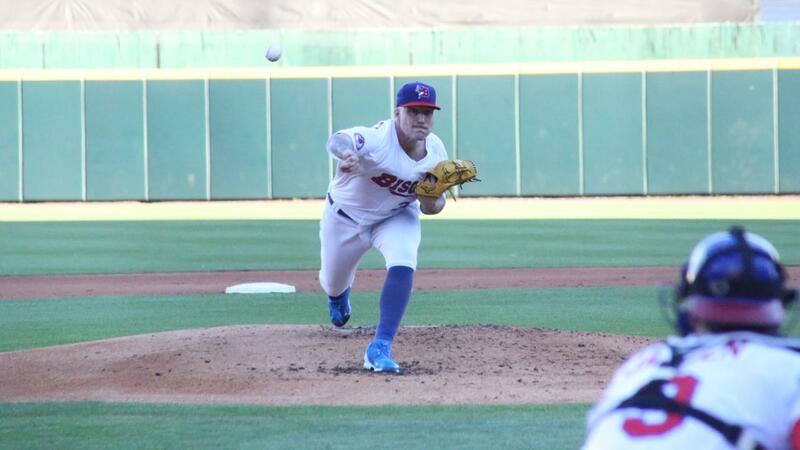 BUFFALO, N.Y. -- After a pair of impeccable starts last week, Bisons' starting pitcher Sean Reid-Foley has been named the International League Pitcher of the Week. The 22-year-old native of Jacksonville, Fla., took home wins in his outings against the Norfolk Tides and the Durham Bulls. Against the Tides on July 17, Reid-Foley threw six innings while allowing just one run on one hit. He also struck out five batters. Reid-Foley built on that outing to hold the International League South division-leading Bulls scoreless in six innings of work on July 22. He only yielded two hits to Durham while recording seven punch outs. 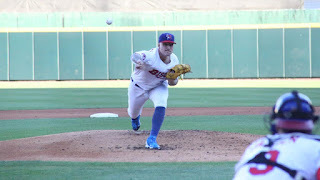 The right-hander has been a great addition to the Bisons' rotation since being promoted from Double-A New Hampshire near the end of May. In 12 starts with the Herd, Reid-Foley owns a 7-2 record on the mound while garnering a team-high 78 strikeouts in 65.2 innings pitched. Opponents are batting .214 against him this season and he has also lowered his ERA to 3.56 at the Triple-A level.